Since my fantasy football team is in the toilet – (thanks a lot Chris Johnson and Greg Jennings), I decided to draft another type of fantasy team. A good quarterback can read the defense, call the plays, and lead his team to victory. Just like a Hall of Fame QB, the content strategy on a blog must be able to do some version of all of these. Read the defense: Find out what other bloggers are doing, and avoid running the same content routes. Use others’ content strategies to direct your own strategies. Incorporate the other teams’ strategies that are working; avoid their strategies that aren’t. Call the plays: Call out ideas and play action that will work. By using advanced knowledge of the game, the content strategy must touch on topics that are trending, find new angles for content, and post detailed, unique ideas that work. Lead the team to victory: A good captain keeps the whole team on the same page. A good content strategy makes sure that all topics support each other for the overall theme and strategy of the whole team. Starter – BuzzFeed: I can never get enough of the content on BuzzFeed. Their content topics may vary from sports, politics and new to celebrities, animals and food, but one thing is always the same: the shareable content is super intriguing, interesting, and usually absolutely hilarious. Bench – Lifed: This isn’t just a site of Sharebait; it’s a site of shareable articles that will make your life better. With tips for improving your life from finance and careers to dating and travel, Life’d is a good way to get educated in a super simple way. The content is consistently interesting and useful. A quarterback can’t do much without a solid squad of receivers (just ask Tom Brady’s wife Giselle). 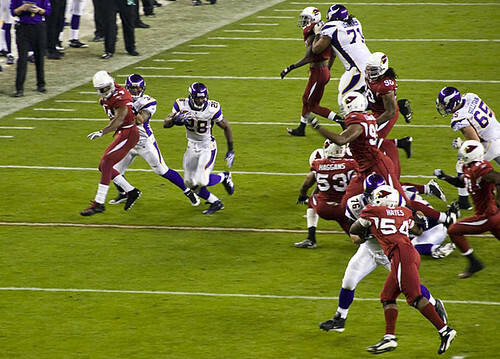 Receivers, like contributors, are vital for taking a pitch (and sometimes some hits), running with it, and delivering a touchdown. Take a pitch (and some hits): The best contributors can handle both pitches and hits. They can take content pitches no matter how difficult the task and deliver. They can also take hits and criticism and use the feedback to better develop shallow performances for the overall good of the team. 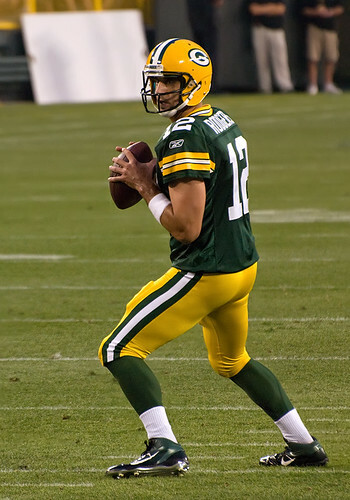 Run with it: Quarterbacks can throw out good ideas, but the receiver is responsible for running it downfield. A good blog contributor takes an idea and runs with it on their own by further developing and deepening it. Deliver a TD: Contributors can’t stop short. Just as they have to run with an idea, they can’t quit in the midst of their delivery. A good contributor follows through with a deep idea and delivers a solid performance from start to finish. Starter – Search Engine Journal: There are a lot of smart people who write for Search Engine Journal. So posts are consistently educational and right on top of current trends and changes in the online industry. These no-filler articles give a reader what they want, right when they need it most. Bench – Matador Network: All of Matadors’ freelance writers are spread across the world. They contribute as they travel so they experience the topics of their content firsthand – delivering compelling and authentic stories, photo blogs and reviews. Push through the crowd – Just like a defensive line of 300-plus pound players, the saturated world of social media can sometimes seem like a brick wall – impossible to penetrate. A good social media strategy pushes though the noise and breaks free and visible on the other side. 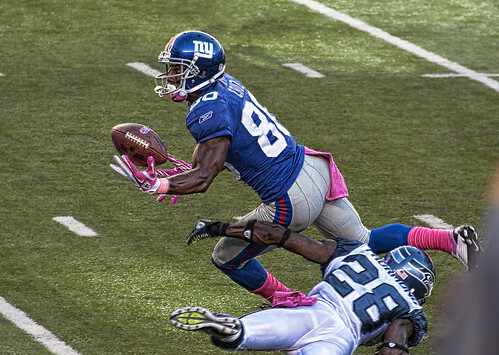 Move the ball – For a blog, it’s not enough to just have a strong social media presence. The goal is to get people back to your content. So superior social media strategies don’t just get attention, they use that attention to move their content around the Internet. Return a punt or kickoff – When launching a new idea, promotion, or venture (like CopyPress Community), it’s important to utilize social media to get a high return of initial enthusiasm. Solid social media strategies can give a new concept the running start it needs to be successful. Starter – Hello Giggles: It’s hard to stay interesting in a sea of social media, but Hello Giggles’ posts always manage to stand out from the crowd by frequently sharing images and catchy headlines that keep me clicking and redirecting back to their homepage. Bench – Mashable: With over a dozen different twitter handles, Mashable makes it easy to follow the sections of their sites that most pertain to topics so you don’t get stuck with all of the other clutter you don’t want to see. More and more NFL team are embracing and increasing the role of the tight end because the position can perform double duty acting as both a receiver and a blocker. Blog content that is mix of multimedia efforts is similar to a good tight end, because it can serve two purposes and outsmart the competition. Serve two purposes – Too many blogs pigeonhole their players into one category. By continuing to play their content as copy, they may miss out on the returns possible by using content as something else – infographics, videos, and illustrations. Outsmart the competition – Non-copy content has a high potential to spread virally. By repurposing content as something that is more likely to work (i.e. turning a copy story into an infographic), it is possible to gain more ground without substituting for another player. Starter – Good: The first time I started to notice the growing popularity of infographics was when I used to subscribe to Good – a print publication dedicated to educating and spreading awareness on issues that affect the overall good of the world. Now with their website and blog, Good continues to frequently publish awesome data driven inforgraphics that make world issue easy to understand. A kicker can hold the entire fate of the team in his big toe. 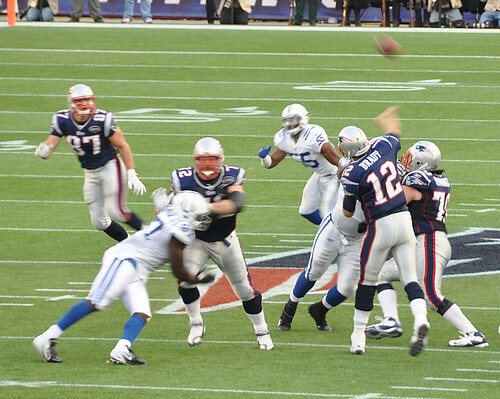 While kickers may only step on the field for minutes out of a game, their work can give the extra “oomph” needed to win or lose and shape the entire outcome of the game. 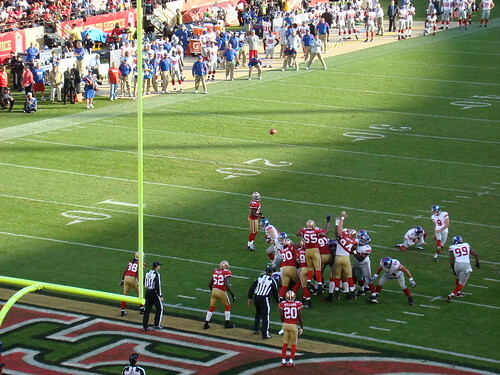 Give the extra “oomph” – Sometimes the kicker needs to add extra pressure to get the ball through the uprights. Design on the website must use the same pressure and direct users through the proper gates to find what they are looking for. Shape the outcome of the game – The design of a blog can be the winning or losing factor in a game well played. Even if the content ideas are amazing, the writing is great, and the social media strategy spot on, ugly or obnoxious design could tip a blog’s presence into the gutter and create a fan base frustrated beyond belief. Starter – BuzzFeed: I hate to draft the same blog in two different categories, but I can’t help but give this up to BuzzFeed. While their blog design isn’t terrible special – it is amazingly simple. It’s super easy to scan content and the navigation is fun (with menus like WTF, LOL, trashy) and obvious. Now that I’ve created my fantasy blog team, tell us who you would draft for your ultimate content team.